October sees Claire Trinder made Yoga Manchester’s student of month. Counting long distance running (52 miles!!) as a passion, Claire has practised yoga for almost 20 years. Enjoy Claire’s story and leave any of your thoughts in the comments section below. Originally from further south, I gradually migrated north-wards and ended up in Manchester 19 years ago as a student who stayed at uni a bit too long and has stayed in Manchester even longer! I started off in biochemistry and after getting my PhD in bioinformatics I worked mainly within the cancer research field and this eventually led me to Northern Ireland. I loved living over there, it is a beautiful place and the people are so friendly, but I missed my family and friends too much and I returned to Manchester but continued to travel back for work. I have recently given all of that up and am now working in Information Security at HP. I have lived in and around Didsbury since my student years and live in West Didsbury with my husband and so much more than my best friend Rich. When not at home or at a yoga class I am usually out running around the roads or the hills. 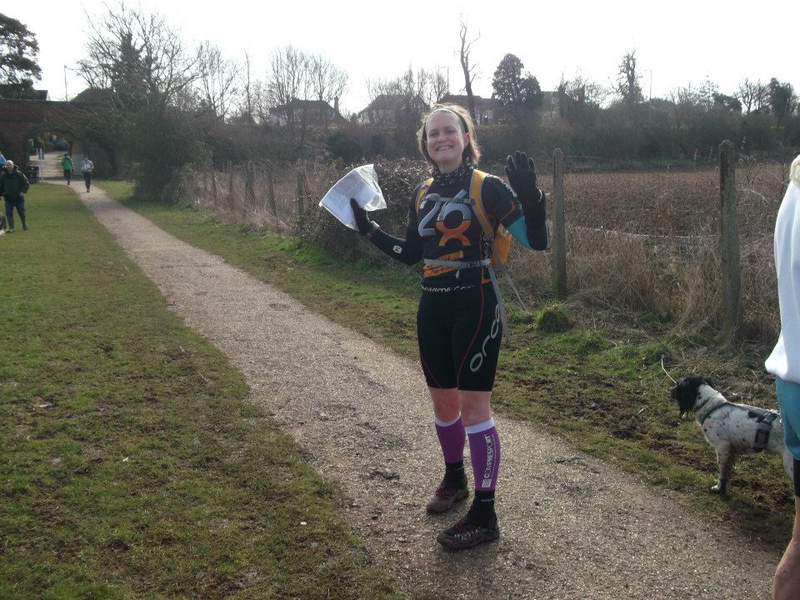 I love long distance running , especially if it is out and about in the countryside. I have done over 50 marathons and over 30 events that are longer than marathon distance, my longest event being 52miles. Music wise I have a slight obsession with Muse and if they are touring, I am there. They also hold a special place in my heart because Rich and I got together and got engaged at a Muse gigs – although he has since moved on in his music tastes! He is big into his music so I will generally yield to whatever he wants on in the house, but I also like a bit of Green Day and Foo Fighters – great for cleaning the house to. Radio wise, I am generally tuned into Radio 4;I like the plays, dramas and have a strange captivation by the shipping forecast, it all sounds so mysterious. What brought you to yoga and how long have you been practising? I first started going to yoga when I was at Uni in a bid to do more exercise. The teacher, Louise, told me about a class she taught at the village hall on Sundays and I went along there every so often as well. I dipped in and out of it for a few years and find it a great complement to the running I do. I was delighted when the Sports Yoga sessions started and attended various different classes when I was in Northern Ireland but was very happy to return to the Yoga Manchester classes when I moved back here permanently. My practice has become a lot more forgiving and I enjoy exploring the spiritual as well as physical side. I enjoy the opportunity to step of the speeding treadmill of life and into my own space where my focus becomes purely internal and a time for self-awareness without criticism (I am working on the last part!). I recently introduced my mum to yoga as she was recovering from a serious illness and it was great to see how that helped her. What is your yoga super power? If you could be a character in a well-known film, who would you be and why? That’s a really difficult one and I had to think about this for ages before concluding that being Storm in X-Men would be awesome as I’d be able to control the elements like she does. I also thought about actually playing a character and figured that any movie where you have a good laugh would be fun to be part of and I was reminded of Cannonball Run from the 80s and all the outtakes they show at the end and how much fun that looked like. Something like Scary Movie (1, 2, 3 or wherever they are at now) also looks like a cracking laugh. Where in Manchester is heaven? Home will always be heaven to me, my parents’ home and my home in Manchester, especially my bed AND my garden. Having only just got myself a small patch of garden area, I am enjoying seeing how the plants grow and change on a daily basis. I love Greens in West Didsbury for food, Reserve for wine and also really like the chilled out vibe in Mary and Archies on Burton Road. I don’t tend to stray far from my house! If you could go back in time to see something or change something, what would it be? That’s another tricky one! I don’t think it is possible to go back in time and do one single thing that would make our current world a nicer place to be, but I would love to go back and meet my Mum’s dad who sadly died before I was born. And just take a peek round my parents’ lives when they were younger! 30% more Bullsh**t by Matt Ryan.